Medium Scale: Fits most 30" scale instruments that accommodate a 32" winding from Ball to taper. D'Addario Black Nylon Tapewound Bass Strings are designed to produce a deep, warm tone with smooth feel. D’Addario Tapewound Bass strings are wound using a flattened black nylon which is polished to an ultra-smooth finish. D'Addario Black Nylon Tapewound Bass Strings are long-lasting, well-balanced strings are expertly engineered to provide optimal tension and are gauged to fit properly on standard bass saddles and nuts. 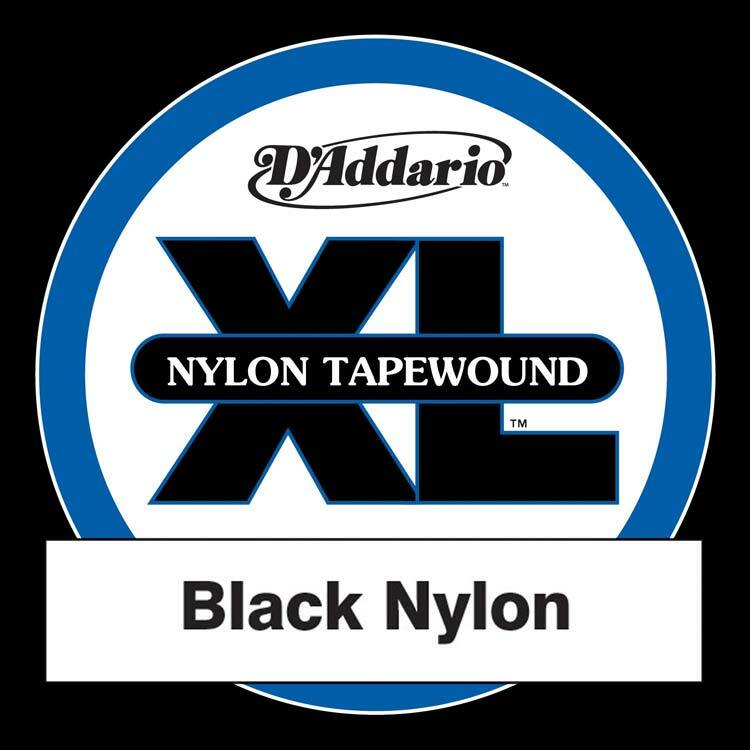 D'Addario Black Nylon Tapewound Bass Strings may be used on fretted or fretless basses and are designed to deliver a vintage tone ranging from the “thump” of an upright bass to the focused depth of traditional flatwound strings. D'Addario Black Nylon Tapewound strings are suitable for both Electric and Acoustic bass guitars. Please note due to the size of these strings some modification may be required on some instruments.